Do you have serious weight issues and feel incapable of losing weight by dieting and exercise? Do you wish to feel lighter and healthier?Gastric Bypass may be the solution you are looking for. For people who suffer from serious weight issues and are incapable of losing weight through diets and workouts alone, gastric bypass is the ideal solution. Gastric bypass is one of the most performed procedures in the field of surgery to treat an obesity. It is also a highly renown surgery because it guarantees permanent and successful results. GASTRIC BYPASS: HOW DOES IT WORK? The technique consists of reducing the stomach volume in order to adjust the feeding regime. This means that what the patient eats no longer goes to the stomach or to the digestive tract, but is rather handled by the midpart of the small intestine. This deviation (hence the term “bypass”) allows to concretely reduce the quantity of absorbed nutrients, and thus the patient will feel full with lesser food. This in turn engenders weight loss. 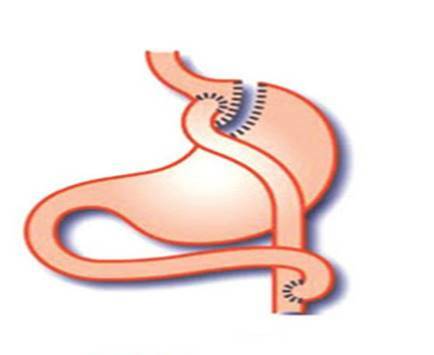 • A malabsorptive procedure, which assures that the food that is not fully digested follows a shorter intestinal track. Gastric bypass surgery is recommended for people over the age of 18 and having a BMI (body mass index) superior to 40. Patients having a BMI between 35 and 40 and suffering from certain comorbidities can also undergo the surgery. In general terms, this surgery is designed for patients who have been struggling with obesity for more than 5 years and have failed to lose weight despite dieting and exercising. It should be noted that this surgery is irreversible. Other bariatric surgeries can be suggested depending on the patient’s needs and objectives. These include: sleeve gastrectomy and gastric band. Every surgery has its principles, benefits and repercussions. An initial consultation will allow the surgeon to evaluate the patient’s general health, check if the patient is determined to lose weight and verify if he/she presents any contraindications to the surgery. The surgery is performed under general anaesthesia and can last from 2 to 3 hours. Bypass is a surgery performed under coelieoscopy; a modern technique consisting of creating small incisions in the stomach. • The surgeon will split the top of the stomach from the rest of it and create a pouch of 30 ml. • The surgeon will then split the first part of the small intestine to bind its inferior extremity to the small pouch. The surgery is concluded once the superior part of the small intestine is split and joined to the lower intestine. Since bypass reduces the stomach, the patient will need to follow a strict diet after the surgery. The patient might feel stomach-aches one week after the surgery. As a way to alleviate the pain, the surgeon will prescribe a pain management regime.. The patient’s appetite will diminish thanks to hormonal intestinal changes. The patient can experience permanent weight loss provided that he/she follows a prescribed post-surgical diet to the letter (60% to 90% of excess weight reduction). The patient will also experience a loss of 5% to 10 % of their global body mass thanks to the surgery. Weight loss differs from one patient to the other due to several factors: the new diet, the type and frequency of the practised physical activity, hygiene, genetics, etc. You have questions about the operation (stay, rates, etc.) and you wish to request a personalized and detailed quote? Do not hesitate to contact us by calling us by phone or by completing the quote request available on our website. Our team will be happy to answer your requests promptly.